Fernandes Brewery Tap and Bier Keller01924 386348work Public HouseFernandes Brewery Tap is a family owned pub that sells real ales, many of which have been famously brewed on site. Regular live music provides the ideal ambiance for you to relax and enjoy, what many people call, the perfect pint. The bier keller is located below the main bar and offers a range of continental lagers, bottled beers and an impressive wine list. With the ever changing range of beer and award winning Ossett Beer available, this family owned pub is well worth a visit. 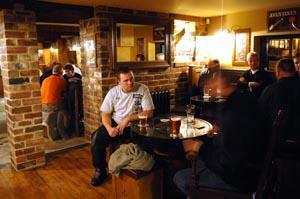 Fernandes Brewery Tap is a family owned pub that sells real ales, many of which have been famously brewed on site. Please phone for opening times of the Bier Keller.